Temperature resistant: up to 400 degree cel. These work on the principle of difference in reflective indices of liquid in the tank and possible presence of gas with the liquid. The liquid will be black display while the gas or vapor will be white display. 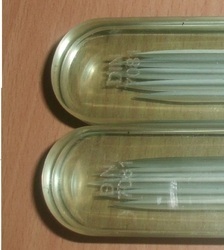 We are manufacturer and supplier transparent gauge glass. 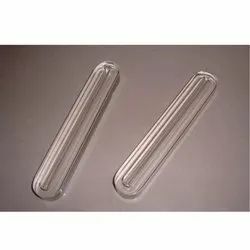 The transparent gauge glass is designed for safe & positive visual indication of liquid level in vessels under high pressure & extreme temperature conditions. Used in Boilers and Civil Labs. With honest intentions to improve the standing we have earned in this arena, we are offering a distinct collection of Transparent Level Gauge Glass.